Caroline Guinard bought her first Rubik’s Cube in middle school when she randomly picked one up at a science museum gift shop. After watching videos online and reading articles, she taught herself how to solve it. Now she’s bringing her hobby to Ronald McDonald House where she’s been volunteering for the past year. Caroline, a fourth year student at Dalhousie University decided to bring a little fun to her Sunday afternoon shift in the form of her Rubik’s Cube. She says it’s actually easier to solve than you may think! In fact, her fastest time solving the cube was 31 seconds. 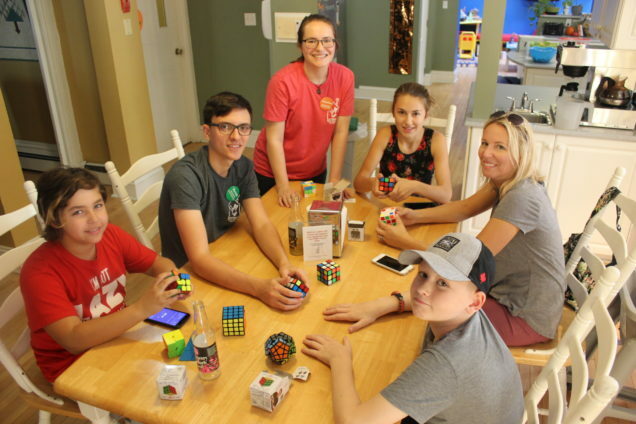 Caroline, who serves as the President of the Dalhousie Rubik’s Cube Society, shares that most people, including other volunteers, are quite impressed with seeing the cube solved. She says that it always makes her happy to see children and adults she taught solve the cube after some practice.